Are Sugar Free Cakes Possible? Last time we posted on sugar we were in the midst of developing our new range of gluten free & vegan cakes. Our ambition was to also make this range free from refined sugar and lower in total sugar than our classic range of cakes. Our intentions emanated from a good place. We wanted to use less sugar and remain instep with the recent healthier zeitgeist. We’ve experimented with date paste, fruit purees and date syrups as well as date juice, Agave and muscovado sugar. The blending of various unrefined sweeteners has led to some superb results. 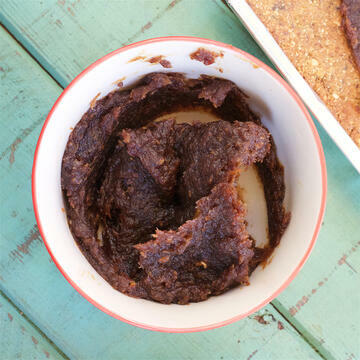 For instance the muscovado sugar beats refined white sugar hands down for flavour and also blends beautifully with date syrup. This new way of baking necessitated the unlearning of our previous baking methods & pretty much starting from scratch. Some of the new development recipes worked well in the development kitchen and some did not. Our judging panel are discerning and honest and consists of team members from each part of the business: office, bakery and packing. Our early attempts at creating a vegan, low sugar brownie were pretty woeful and the team didn’t hold back in telling us. It’s only now, a year on from the first attempts that we’re happy with the vegan brownie. We simply put some of the sugar back in. We’ve concluded that the overall proportion of sugar in a recipe needs to remain at a certain level to still deliver the Holy Grail of yumminess. As soon as the sugar level was reduced too much, it failed our team tasting sessions. Similarly unpopular were our experiments using zero calorie sweeteners including Stevia & Xylitol. Aftertastes were picked up on & the texture of the cakes wasn’t right. Tesco has come under fire after changing the recipe for its own-label custard creams”. There are plenty of great brands out there already offering low/lower sugar healthier options. At our bakery, we’ve taken a little while to mull over the options and test things out & we’ve concluded that unrefined sugars can positively impact a recipe. We love blending muscovado, date paste and Agave but we are not happy using zero calorie sweeteners such as Xylitol or Stevia. For us, the flavour and customer delight is not where it needs to be. We will stick to baking deliciously indulgent cakes which happen to be gluten free (and plenty of vegan ones too!). 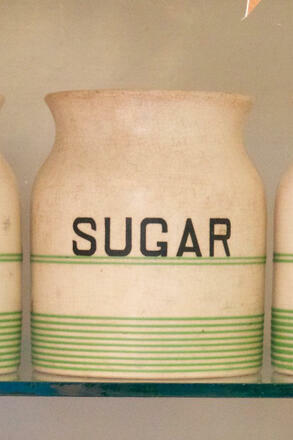 We also need to be upfront about the limitations of unrefined sugars. We’ve stated in a previous article that there are some ambitious health claims, particularly online, being made about unrefined v. refined white sugar. I’m personally unconvinced. We are simply interested in the improved flavours they bring to a cake recipe. To conclude, sugar free cakes are possible. If zero calorie sweeteners are used but it’s not something we would want to pursue. We’ve been able to reduce the overall sugar a little but we found taste was compromised after a certain point. Blending interesting sweeteners to layer up flavours has been a great success this year. We’ve fallen in love with maple syrup and muscovado. 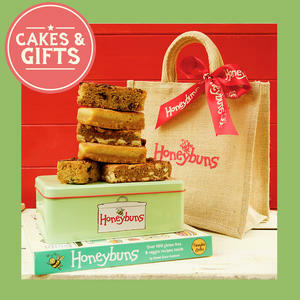 Our ranges of cakes will remain treats. The fact that they’re gluten free and some are vegan, dairy free & refined sugar free is a bonus. Fancy trying our gorgeous gluten free and vegan cakes? 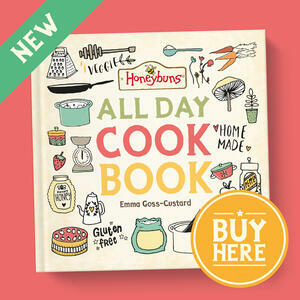 Why not visit our online shop! 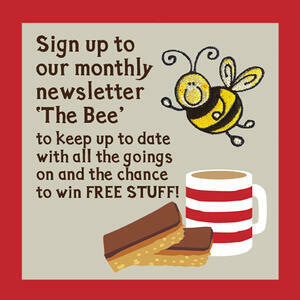 For more updates from our gluten free bakery subscribe to our monthly Bee e-newsletter.